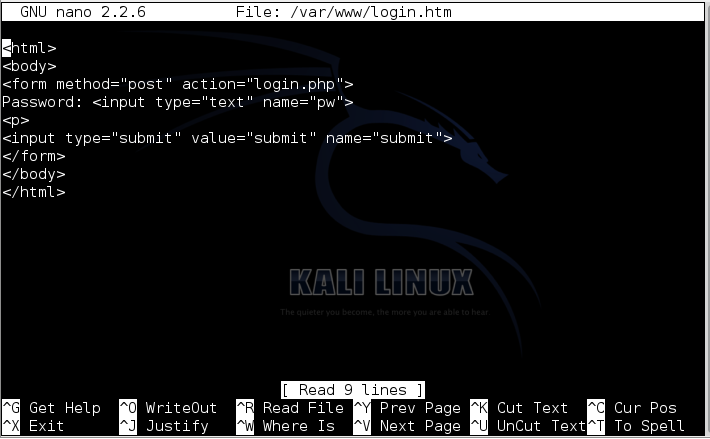 A Linux machine, configured to be an HTTPS Web server, which you made in the previous project. A Windows machine with Wireshark, such as the Server 2008 machine you got in class. Find your server's IP address and make a note of it. On your Windows machine, open Firefox. A warning page appears, saying "This Connection is Untrusted". That's happening because your SSL certificate is self-signed, rather than purchased from a real Certificate Authority like Verisign. Click "I Understand the Risks". Click the "Add Exception" button. Click the "Confirm Security Exception" button. Press Ctrl+X, Y, Enter to save the file. Enter a password of P@ssw0rd and click submit. You should see a message saying "Password correct!". 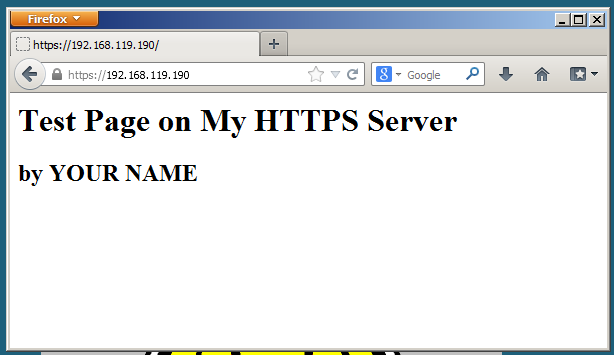 This makes an identical login form on the HTTPS portion of the server. You should see a message saying "Password correct! ", as shown below. Make sure the URL starts with https, and that the "Password correct!" message is visible, as shown above. Press PrntScrn to capture the whole desktop. Save a screen capture with a filename of "Proj 17a from YOUR NAME". On your Windows machine, start Wireshark. From the Wireshark menu bar, click Capture, Interfaces. In Wireshark, click Capture, Stop. 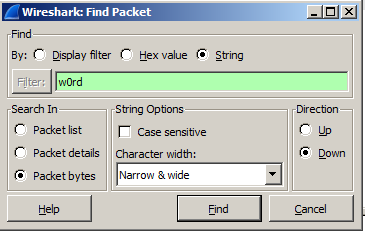 In Wireshark, click Edit, "Find Packet". 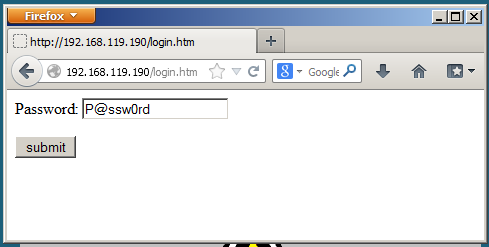 Wireshark should move to a packet labelled "POST /login.php HTTP/1.1" in the Info column, as shown below. 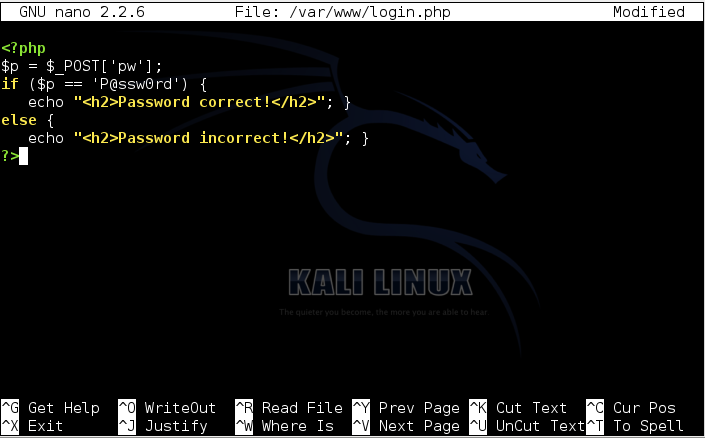 Make sure the password of P%40ssw0rd is visible, as shown above. Save a screen capture with a filename of "Proj 17b from YOUR NAME". From the Wireshark menu bar, click Capture, Start. In the box that pops up, click the "Continue without Saving" button. This is a much safer way to send data, because it's encrypted. Email the image to cnit.120@gmail.com with a subject of "Project 17 from YOUR NAME".